Vusi Mdoyi a former street dancer grew up in Katlehong Township. He started his dance career in 1990 at the age of 10, being taught by a street dancer from Katlehong who was his expiration. After six years of street performances he attended Via Katlehong Community Youth Club/School of Dance where he learned art discipline, becoming a brilliant and creative student. Vusi specialises in teaching township street dance “Pantsula”,”Gumboots” and» tap dance via spantsula dance”, and is a dancer/choreographer/director of Via Katlehong Dance Company and School of Dance. 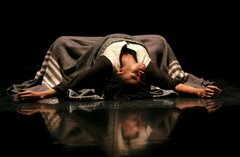 For the past six years up to date Vusi has been involved in the overseas extremely successful projects as a dancer and choreographer. He performed in England, France, Luxemburg, Belgium, Re-union, Seychelles Ireland, Germany, Italy, Greece, Spain etc with different projects and festivals with different artists all over the world. 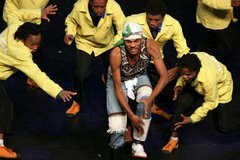 Recently he has done two projects with Via Katlehong Dance Company with a show Nkululeko that is recently touring Europe and Wola Baba creation in collaboration with French Back to Hip-hop Dance Company. Some of his highlights locally includes: FNB Dance Umbrella Awards, MEC Development Award. 2006 World cup bid promotion, All Africa Games etc. 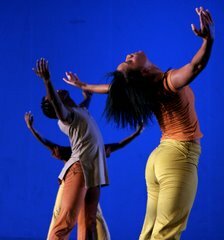 Vusi Mdoyi has also done some outstanding performances for the co-operation functions with Via – Katlehong Dance Company. Working with the youth has always been his passion within the field of Art as his contribution to the society.